The work we do would not be possible without the hard work and dedication of each volunteer. Our focus is on our regular 2-3 week missions abroad, however we also have a need for volunteers and committee members at home, and in some cases offer other placements in Africa. Volunteering with CACHA is a unique, enriching life event which allows you to experience rural Africa. You will gain experience in a developing country, be immersed in the culture, and contribute tangibly and meaningfully to improving the health care of those in need. We are looking for highly motivated individuals who are passionate about our work, share our vision and want to help make a difference in the lives of people in Africa. 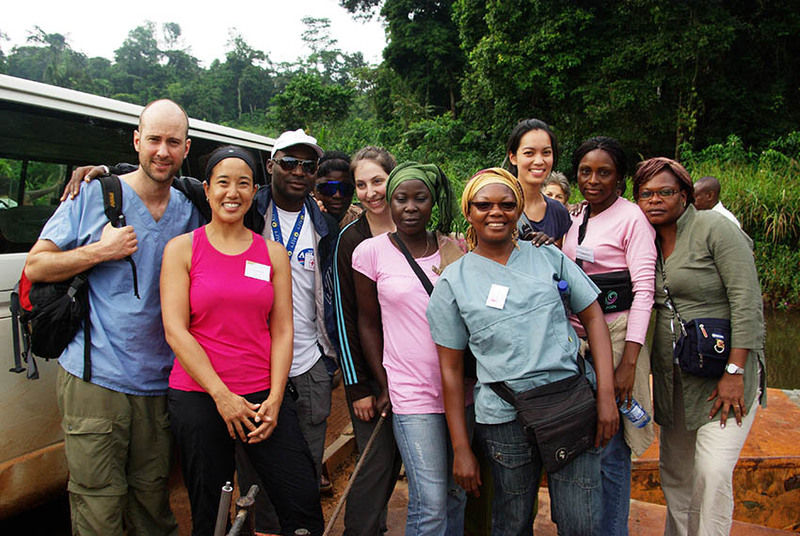 Our missions in Benin, Tanzania, and Uganda need healthcare professionals: surgeons, family doctors, pharmacists, dentists, optometrists, registered nurses and nurse practitioners, gynaecologists, pediatricians, dentists, ophthalmologists and others. We also need NON-medical volunteers to work in support and logistics roles for our medical missions and to carry out our infrastructure missions. Each mission has an experienced mission lead appointed by CACHA to prepare for the mission and lead volunteers on the ground. Mission dates are posted on our website, and sent out to our members and mailing list (to join, click here!). Our missions usually take place in the Fall (September to November) and the Winter/Spring (January to April) and last 2-3 weeks. Volunteers may participate in consecutive missions if they choose. Volunteers can enroll on their own (as most do), or within groups. The earlier you decide to become a CACHA volunteer, the earlier you are able to start fundraising for your mission. To become a Mission Volunteer, please complete a Mission Application Form. If we have any questions or concerns upon review of the form, we will contact you directly. Set up a volunteer page on our website. Submit a picture for the page. Attend a mandatory volunteer information session. The session will discuss the mission in more detail and provide an opportunity to ask questions to the Mission Lead and to CACHA staff. Information regarding your particular session is sent out via email. Prepare for an incredible experience. All missions are self-funded. Each mission costs $2,820 + the cost of the flight. Volunteers get their own fundraising page on CACHA’s website to help cover the cost. The cost of the mission must be submitted in full, no later than one month prior to the start of the mission. Travel and travel health insurance is not included in the total cost of the CACHA mission. We recommend that you check in with your benefit plans associated to your work place and bank to see if your travel insurance is covered there. Volunteers must be 18 years of age. Volunteers between 16-18, must obtain parental permission to join a CACHA mission. Participants under the age of 16 will be evaluated on a case-by-case basis, and may not be permitted to participate. There is no maximum age for volunteers. However, if partaking on the mission will put the individual’s health at risk, then they will not be permitted to participate. If you are unable to volunteer abroad, we are always looking for volunteers in Canada. Help needed includes assisting in the office, the medical and pharmaceutical warehouse; marketing; fundraising event; on-site coordination; and support for our missions to Africa. If you’d like to contribute your efforts to CACHA in Canada, please complete a Canadian Volunteer Application Form, and attach your CV when submitting. CACHA will get in touch with you with current opportunities.